And we’re back to our regular posts this week! Thanks to all who have been showing the love for the TMXS Cabaret! 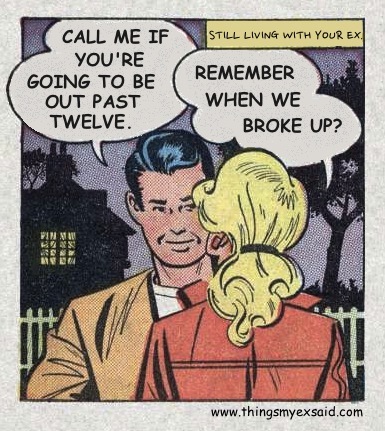 Ah, the extra complication that comes from still living with your ex. Might be worth breaking that lease, just saying.